Wedding reception decor at the Brownstone in New Jersey. 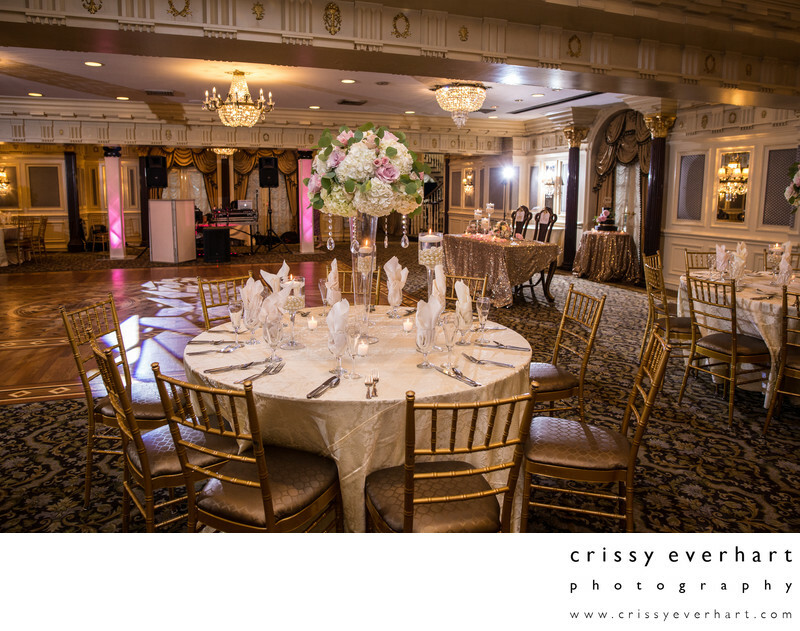 Golds, pinks, and browns were the main colors in this dining room set-up and it looked very classy and elegant! Location: 351 W Broadway, Paterson, NJ 07522.